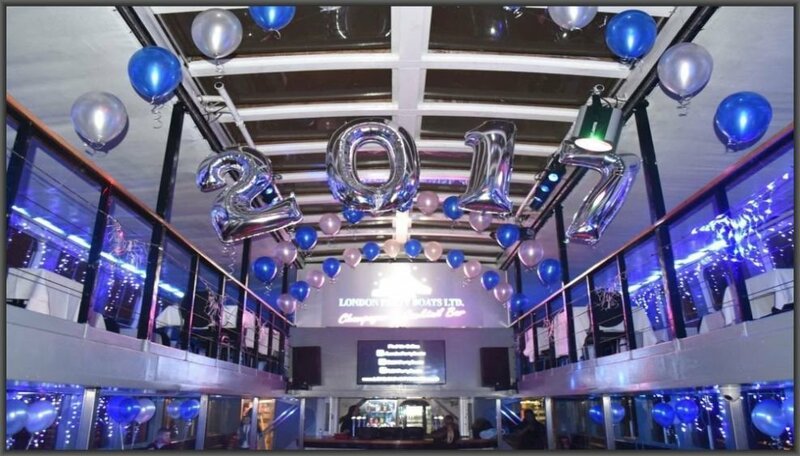 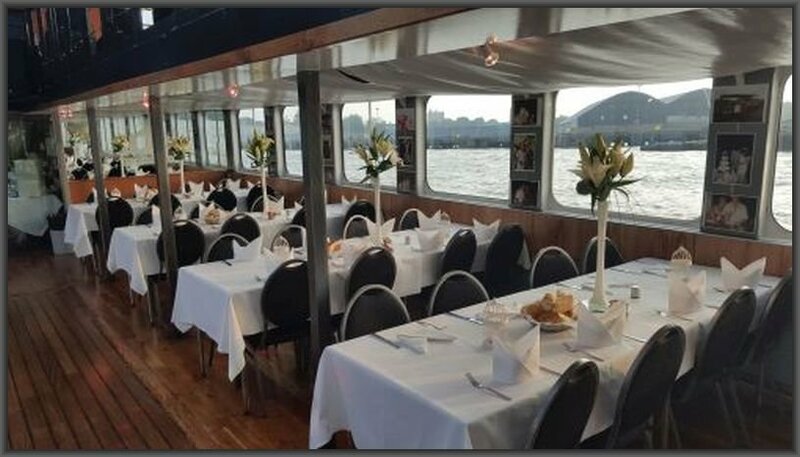 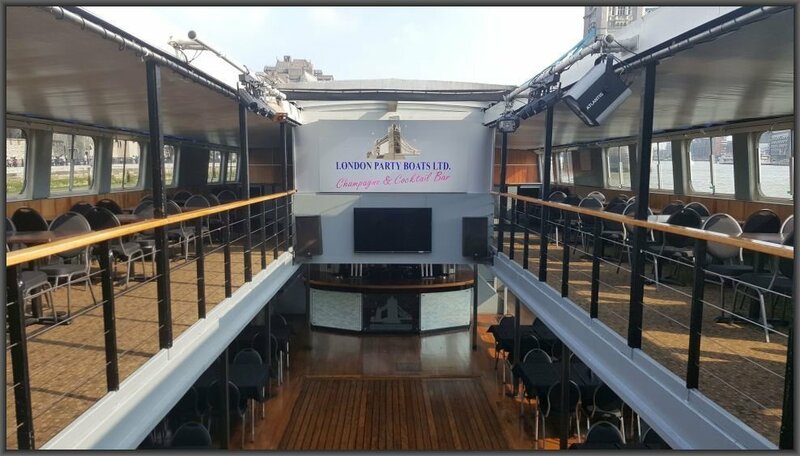 London’s largest Trimaran party boat with two large decks, open sunroof and viewing gallery. 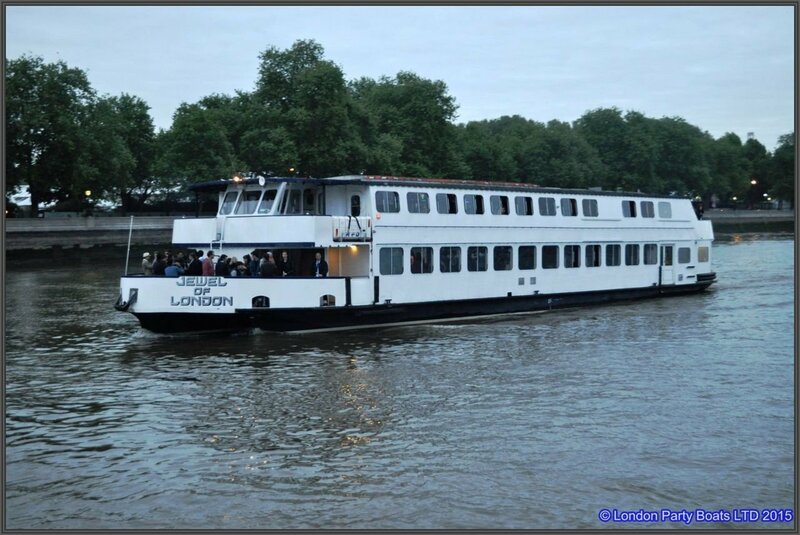 This vessel has two outside decks one to the front and one to the rear of the vessel. 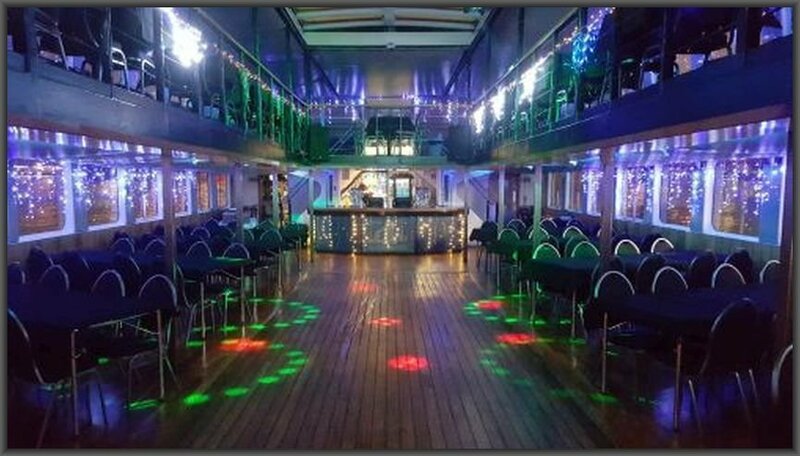 on board is the latest club sound system which is available to hire with your own DJ or use our in house DJ. 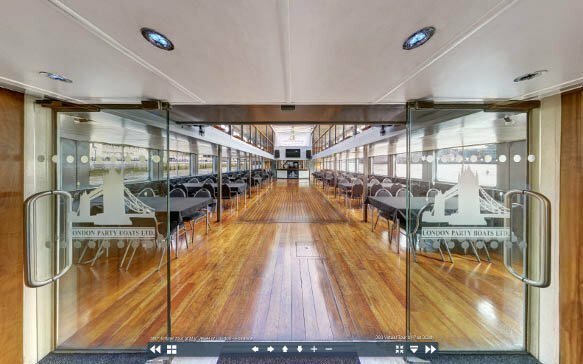 This vessel is truly a super club on water! 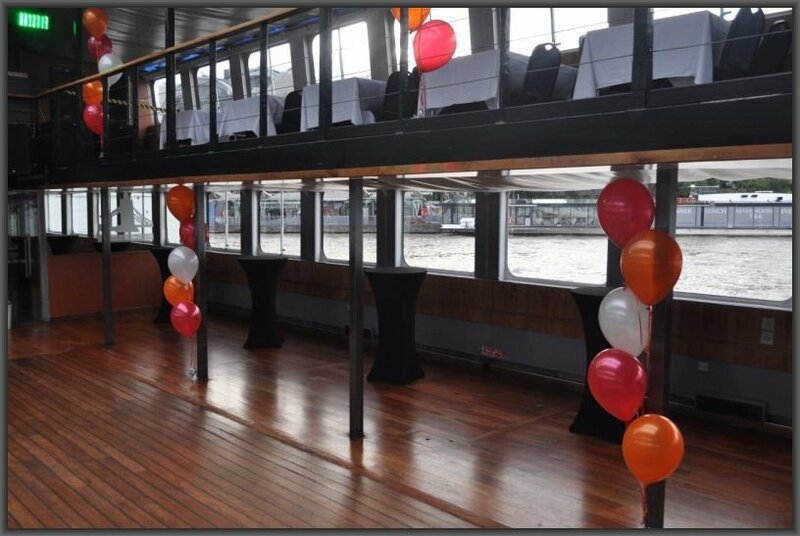 This split-level vessel boasts a gallery overlooking the dance floor ensuring both top and main decks are part of the same space. 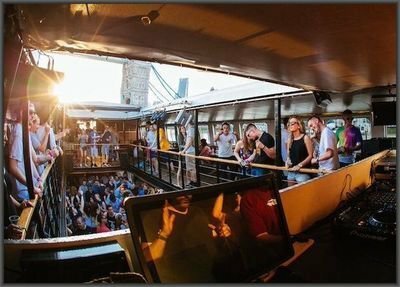 With excellent exterior viewing areas on both the upper and lower decks, a bar, small lounge area, cloakroom and washroom facilities, Jewel of London is a popular choice for club nights and corporate events. 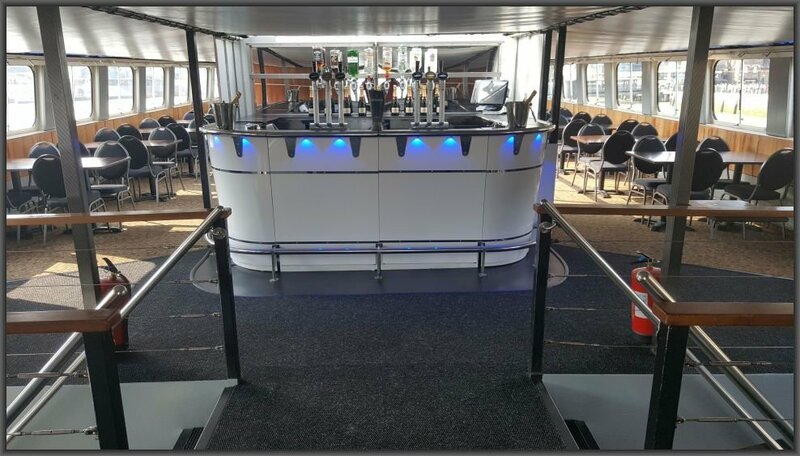 This vessel can be organised with a variety of different style tables to fit most functions or can be cleared of all tables ready for any large club event. 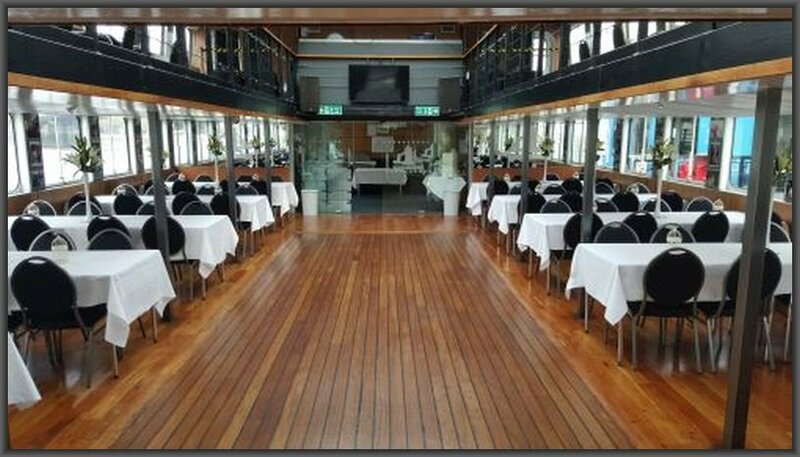 Top deck balcony showing our large open glass roof, which can be retracted in the summer months. 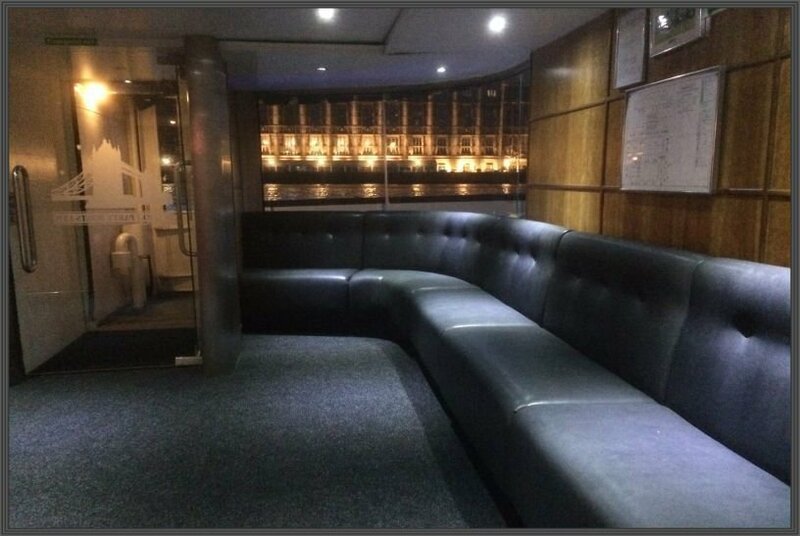 Enjoy our top deck champagne and cocktail bar.